Most music over at https://www.mixcloud.com/Lara604/! 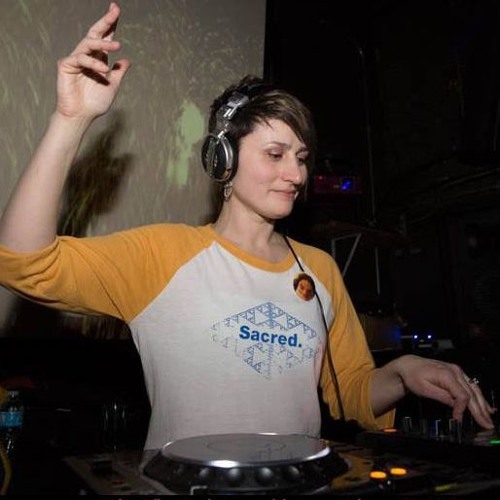 Lara Schneider has been DJing for 18 years starting out as one of the very first female DJs to ever represent psytrance in Seattle. Now playing mostly techno, she has dj'd in every kind of venue imaginable, from abandoned train tunnels and clubs to forests, farms, hills, and snowy mountains all around the Pacific Northwest. Whatever the setting, she has always been guided by one of the truest principle of Djing: a direct and spontaneous relationship to the energy of the crowd. She eschews pre-prepared sets in favor of improvisation, relying on her extensive and oft-replenished record collection and her sensitivity to the audience, both honed by many years of experience on both sides of the stage. Her ambition is to continue charting the ever-diversifying horizons of techno and psytrance and the way it increasingly crosses over with other genres, with a keen sense for the explorations of the past.